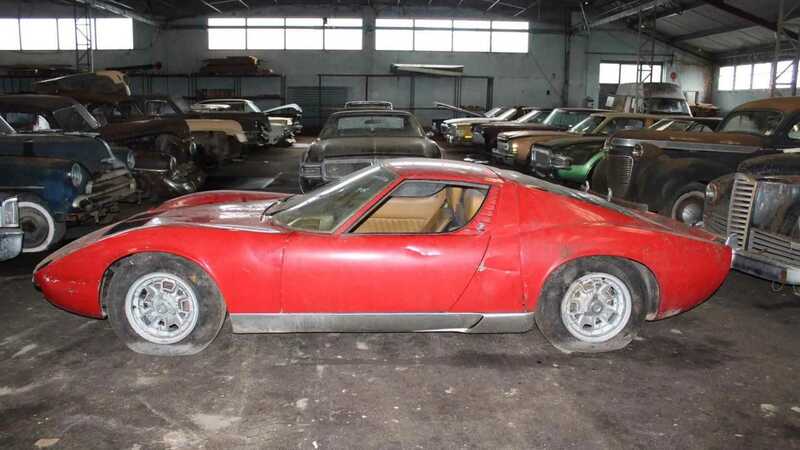 This Lamborghini Miura P400 was part of a huge barn find of over 80 classic vehicles. 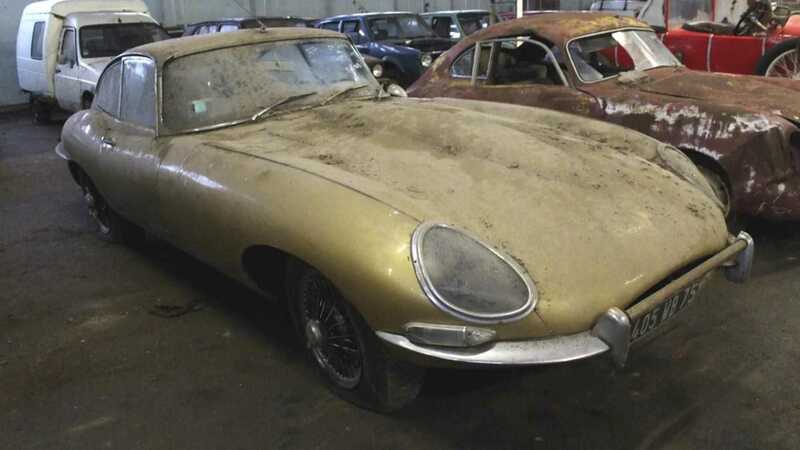 Last week news broke of an astonishing barn find auction that consisted of over 80 classics in need of some love. The images of these rusting cars lined up ready for auction by Interencheres were fascinating, but there was one car that stood out. 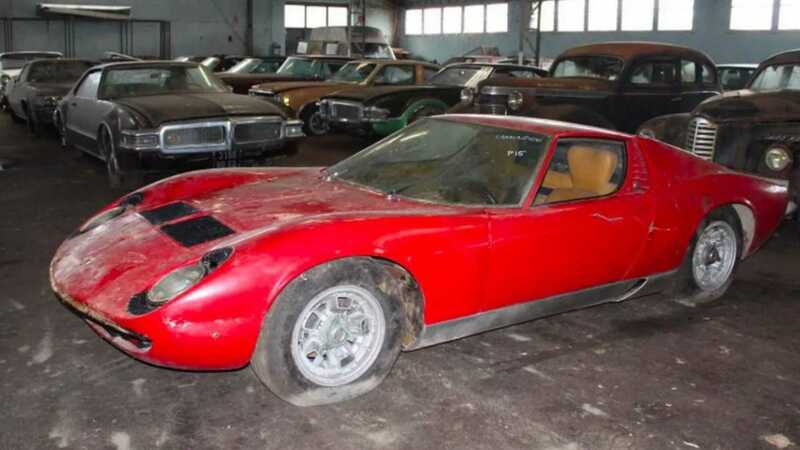 This abandoned Lamborghini Miura from said collection has just sold for $640,000. 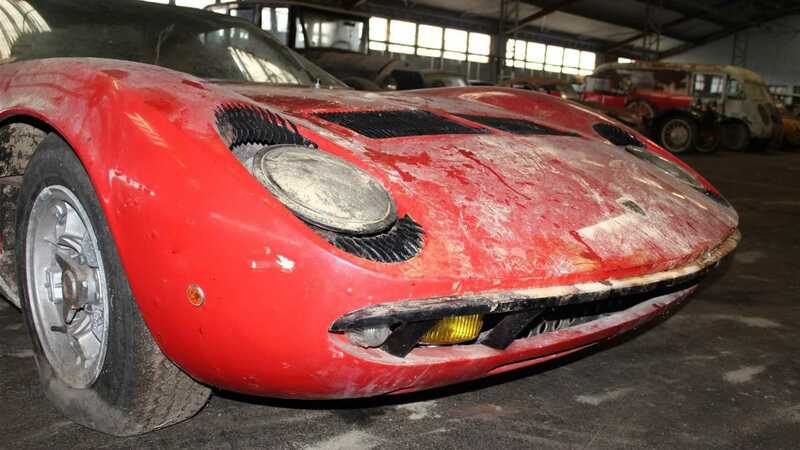 The rusty red Miura appeared practically intact, making this numbers-matching model a prime candidate for total restoration. In addition to the obvious oxidization issues, it features a broken crank handle and has somehow managed to acquire Ferrari wheel nuts. 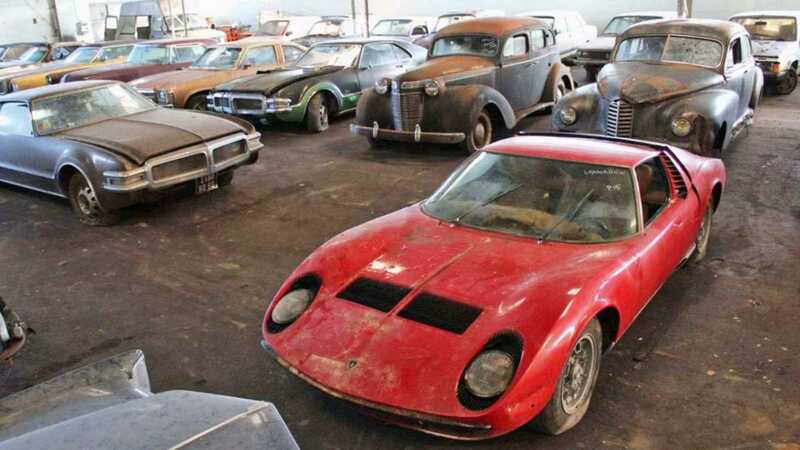 The restoration might be worth the pain, given a P400 Miura in prime condition is worth around $900,000, thanks in part to its limited production run of just 275 units. Interencheres' example on sale was no. 118. Miura no. 118 had clocked just over 48,000 miles before being laid-up in a French barn along with many other intriguing classic vehicles. 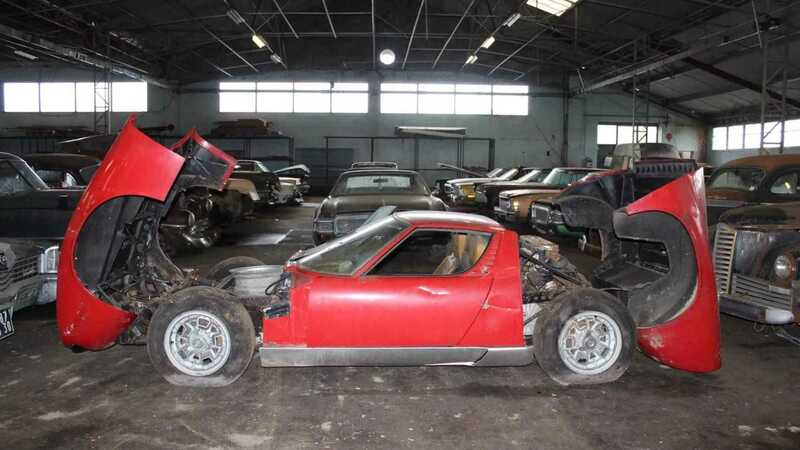 The collection belonged to a Mr Ruggieri, who reportedly never really used the cars he collected. Most were delivered to one of a handful of locations, a key component removed to prevent theft, and then simply left to rot. 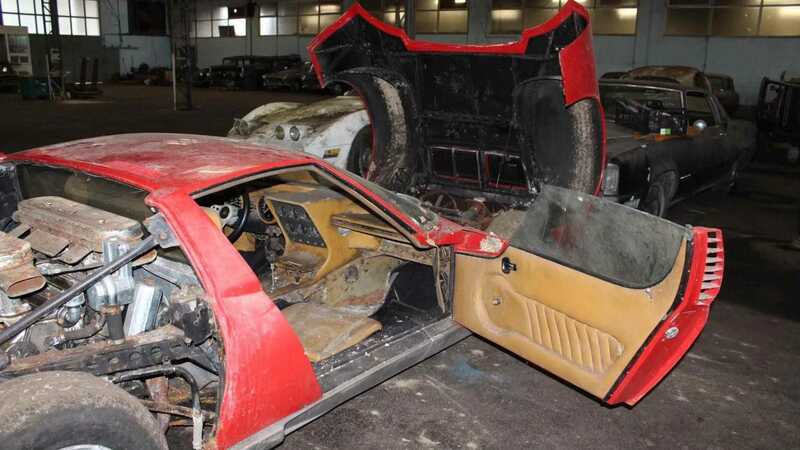 Many of the cars were discovered under vegetation or in collapsing sections of abandoned buildings. Mr Ruggieri took ownership of the Lamborghini in 1996. The Miura was by far the top seller of the auction, but another star of the gavel was a 1961 Series 1 Jaguar E-type Coupé that fetched $112,000. This unusual gold example of the sports car appeared in respectable condition beneath the decades of grime that had accumulated. 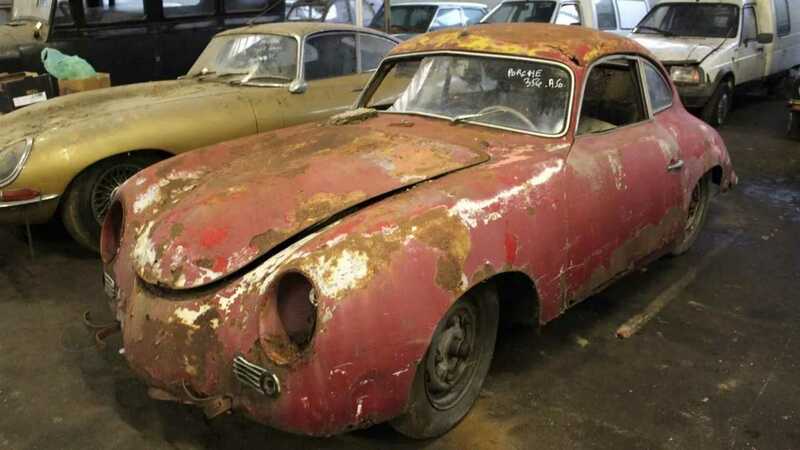 A rare Porsche 356 Pre-A was also amongst the more interesting lots, although this one had clearly been exposed to the elements for a long time. 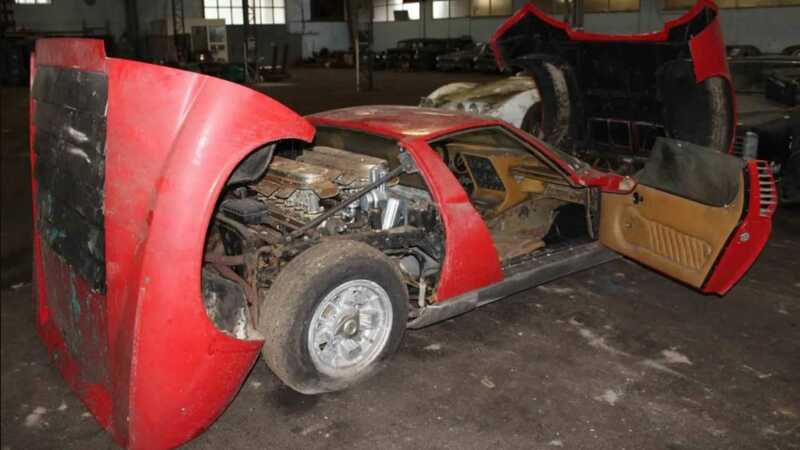 Despite being badly corroded and missing several components, it sold for $54,500. We hope that the owners of these barn finds give them the attention they deserve with the aim of displaying them on a concours lawn in the future.